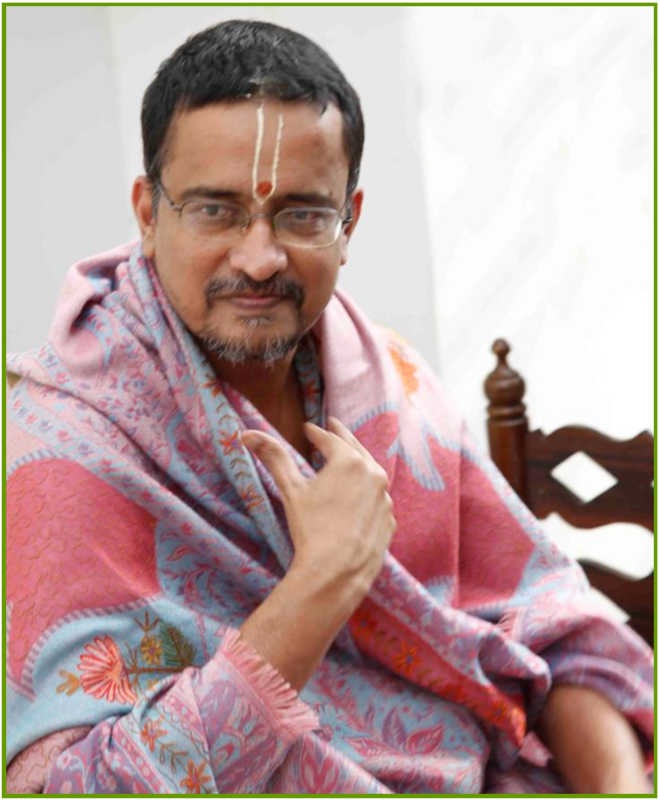 Categories: Krishna, Sri Sri Muralidhara Swamiji. This series chronicles interesting experiences recounted by the devotees of HH Maharanyam Sri Sri Muralidhara Swamiji. These articles are translations from the series, “Madhuramaana Mahaneeyar” that is published every month in Madhuramurali Tamil monthly magazine and are written by Dr. Bhagyanathan, personal secretary to Sri Swamiji. Sri Swamiji insists on chanting various stotras like Gopika Geetam, Kunthi Stuti, Hanuman Chalisa, and Vishnu Sahasranamam in his satsangs. He often emphasizes that chanting stotras graced by great mahans will bring a lot of benefits to us. He would also say that if we sincerely pray to a particular deity, then that deity protects us by constantly being with us. To illustrate this, he would often remember an incident from the Mahabarata. During the Pandavas’ agnyatha vaasa (the year of being incognito, during their 13 year exile) a great mishap was about to befall Draupadi. She was forced to go to the place of Keechaka, who had wrong intentions towards her. Before going there, Draupadi chanted stotras on Indra, Dharmaraja and other devatas, and for one muhurtha (about 48 minutes) she chanted the slokas on Lord Surya. Surya, who was thus pleased, ordered a rakshasa to secretly protect her. When Keechaka misbehaved with Draupadi just as she had feared, the rakshasa sent by Surya created a strong gust of wind and threw him off, thus saving Draupadi. 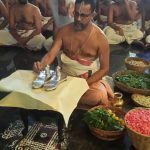 Swamiji would always say that the stotras we chant sincerely and our heartfelt prayers definitely protect us like an armor. For devotees who live under the shadow of Premika Varadhan and Sadgurunathar (Sri Swamiji), such incidents continue to happen till this day! On July 26 (2014), a devotee who lives in America – Zenitha Ram – was traveling to Houston Namadwaar (located in Houston, TX, USA) by car with her family. Her husband was driving the car, while her children (1-year-old twins) were resting in their car seats in the back seat. It was a hot day. 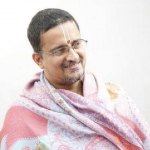 In the November 2013 issue of Madhuramurali (Tamil monthly magazine), Sri Krishna Kavacham stotram had been published, as ordained by Sri Swamiji. Zenitha Ram used to chant this Sri Krishna Kavacham daily. That day too, before setting out, she had chanted the stotram. They were on a highway at a high speed. On the lane next to them, there was an 18-weeler trailer truck ahead of them who was trying to change lanes and move into their lane. In this lane (into which the truck was trying to move), there was a car in front of Zenitha Ram’s car. But as that car was in the truck driver’s blind spot, he did not see that car. But in the last minute, the truck driver spotted the car, and in order to avoid hitting the car, the truck driver turned the steering wheel sharply in the opposite direction. That’s it! Because of the speed at which this happened the truck driver lost control and the truck turned completely around! By this time, the car ahead of Zenitha Ram’s car sped away safely. But the car behind was now Zenitha Ram’s car. The truck that had lost control now began heading in the opposite direction and came towards Zenitha Ram’s car at a high speed! It all happened in a fraction of a second. Blood drained from Zenitha Ram’s face as she sat stunned in the car. There was absolutely no time to react or even think of what to do! In the blink of an eye, the truck stopped barely an inch or two away from their car, without hitting any vehicle even in the neighboring lane! Other vehicles too stopped immediately without hitting anyone else. She herself shared this incident with all of us by writing to us emotionally about it. While reading this touching incident, I was amazed and struck by how Sri Swamiji’s grace continues to protect all us constantly! Click here to read the Krishna Kavacham and its meaning.